This weekend is the first ever Philadelphia Bike Expo, organized by Bilenky Cycle Works (visit their site for some lust-worthy bike beauties) and the BCGP. On Saturday and Sunday 70+ exhibitors will showcase everything from helmets to custom bike frames to baskets, bags, and much more. There will also be a number of seminars held at the Unitarian Church on 21st and Chestnut, including "Yoga for Cyclists," "How Bicycling Doubled in Three Years in Philadelphia," "The American Bicycle Boom 1969 - 1975," and "Wheels 101." A Fashion Showcase featuring duds for everyone from daily commuters to aspiring Lance Armstrongs will round out Saturday's events. 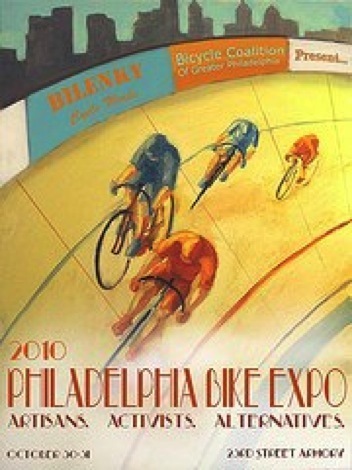 For the full schedule visit the Bike Expo's website.